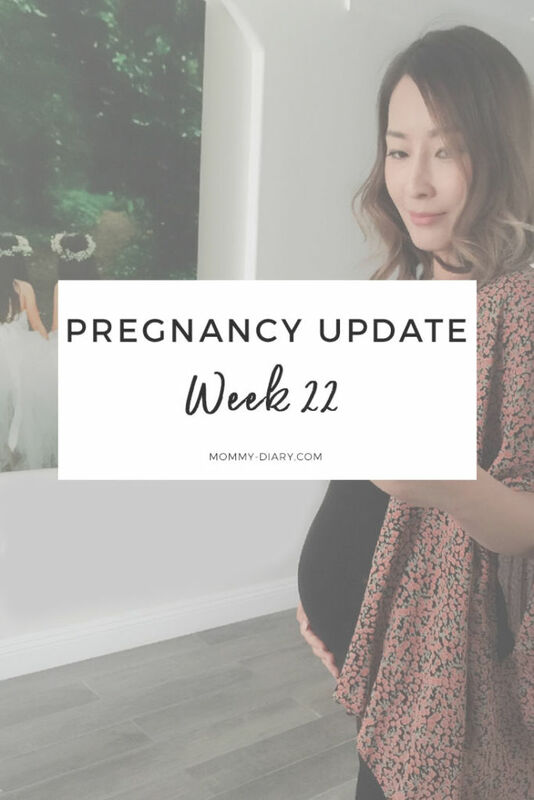 When I began the pregnancy update series at week 13, I found it hard to believe I’m actually pregnant. First trimester was filled with miserable days of endless nausea, headache and body chills (I really never want to go back there again) and at around 14, 15 weeks I began to feel better. Once the severe morning sickness subsided I thought to myself, “Wow, that was intense…I can finally begin to enjoy this pregnancy!” yet oddly enough, the baby didn’t quite feel real. I didn’t feel him move, I wasn’t really feeling nauseous and while my bump was growing slowly, I couldn’t really tell there was a baby in there. A weird, awkward phase it was, and it passed by quickly while I focused on my two older children and eating as healthy as I can. And now I’m already 22 weeks and boy, do I feel pregnant. I feel SO pregnant and uncomfortable. 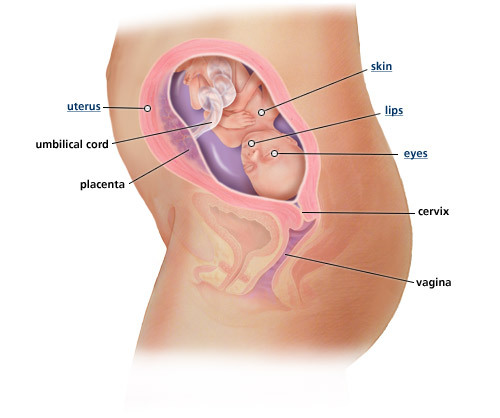 My slowly expanding belly is now growing exponentially and my stomach feels so stretched out I’m scared it’ll burst. I was fortunate not to get any stretch marks with my first two pregnancies but now it’ll be a miracle if my stomach can survive this tight stretch without leaving a mark. I’m constantly short of breath, constantly tired (how can a human who sleep 8-9 hours a day be THIS TIRED?) and this lower backache is not going away. I spent the first 4-5 months using fatigue as an excuse to rest at home- which felt most right for my body at the time because I can “feel” the baby trying to settle in my body- but nowadays I feel I need to battle this fatigue with light, regular exercise. But more on that later. Before I continue, here are my 22 week notes. 3. Symptoms: A weird pulling feeling in lower belly. Lower backache comes and goes. Difficult to get comfortable at nighttime. Chronic fatigue. 4. Food Cravings: I want coffee every day! I’m trying to limit to one cup every other day. I desperately want sushi and uni but will sadly pass for now. 8. Emotions: Excited that I’m already more than halfway into the pregnancy! 9. Looking forward to: Exercising. I just ordered an exercise ball to begin light exercise at home. I cancelled my gym membership for now after not using it for over 4 months but nowadays I feel I need to begin a healthy routine again. My arms feel weaker and my lower body desperately needs a workout. After regularly exercising for years, you can just “feel” when your body is not in its optimal shape. If you’re a pregnant mama who has generally been healthy and fit, modified exercise is great for yourself and the baby. Most experts don’t recommend starting a new, strenuous routine besides swimming, light cardio/weights and prenatal yoga but I think my body can handle more than what I’m allowing it at this time. I hope by next week I can say I’ve been exercising regularly at home! 10. Currently shopping for: maternity clothes. I’m already getting tired of my black and white maternity dresses and black maternity pants. These days finding old clothes that still fit is a simple joy. The baby now weighs almost one pound and measures nearly 11 inches long from crown to heel. He’s finally proportioned like a newborn, like a tiny doll. The lips are distinct and the eyes are formed, though the iris (the coloured part of the eye) still lacks pigment. The pancreas, essential in the production of hormones, is developing steadily. I still can’t believe I forgot I’m supposed to be sleeping on my side and this is my third pregnancy. So I’ve been having this lower back pain for a few weeks and wondered why I was getting them so early. I was at Target a few days ago and suddenly felt dizzy like I was about the faint, which has never happened before in either of my two previous pregnancies. I wondered why- it was obviously a sign of lack of blood flow to the brain- and it turns out I’ve been sleeping on my back during my second trimester which I’m advised not to do! I clearly remember using a body pillow with baby #2 to avoid sleeping on my back and I kept thinking to myself, so when did I need that pillow and why? Anyone would assume I would be a pregnancy expert by now but nope, this mama totally forgot the basics and have been doing it all wrong. No wonder my lower back was hurting so much. I finally ordered another body pillow, which I’m pretty sure I’ll want to burn by the time I deliver this baby. I still remember how much I hated sleeping with that gigantic pillow on my bed. Sigh. But the pregnancy must go on and I will conquer all these annoying symptoms and side effects with courage, energy and gratitude. Easier said than done but I’ll try my best. Until next week!